Fel-Pro performance rear main seals handle the u nique needs of the professional racing engine builder. Fel-Pro offers special materials and design configurations optimized to perform under high crankcase vacuum conditions, elevated temperatures and high RPM levels. 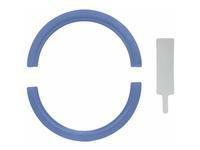 Racers depend on these seals for leak-free performance both on the track and on the street. Seals are made of high-grade synthetic rubber materials, such as polyacrylate, silicone, Viton® and polytetrafluoroethylene (PTFE), so you can choose the best high-heat and abrasion-resistant sealing characteristics for your application. 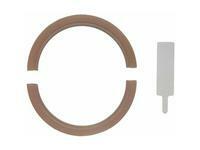 This Fel-Pro Part Number 2900 Performance Rear Main Seal Set fits 1959-1985 engines. 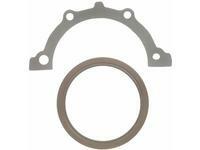 This Fel-Pro Part Number 2909 Performance Rear Main Seal Set fits 2.8406" - 2.8415" housing diameter. Also fits tall deck "Rocket" block. 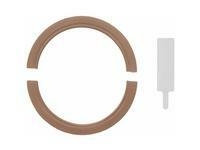 This Fel-Pro Part Number 2912 Performance Rear Main Seal Set fits 1959-1985 engines. This Fel-Pro Part Number 2919 Performance Rear Main Seal Set fits 1986-1997 engines.